There’s a crisp smell in the air, leaves are slowly turning from green to shades of burnt red and orange, and we find ourselves trading our tee shirts and shorts for sweaters and jeans. That can only mean that fall is here! In the appliance industry though, fall is known as the season of oven repairs. Since many of us don’t bake much during summer, discovering that your oven is broken right before a holiday like Haloween or Thanksgiving is extremely common. So what can you do to prevent the most common oven repairs? 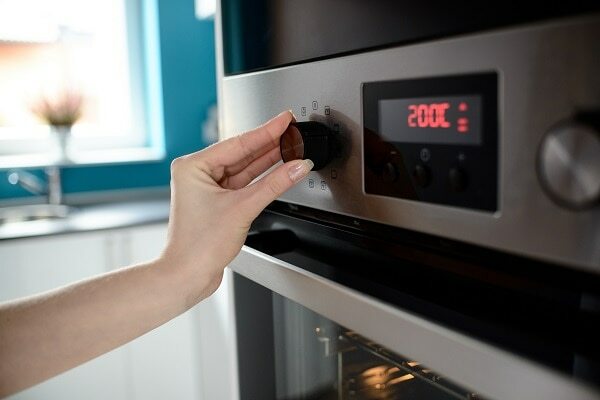 Avoiding electric or gas oven problems is easier than you might think through accurate oven troubleshooting and proper maintenance. If you discover that your unit is already broken though, the best choice you can make is to call A+ Appliance for fast oven repair. You had one job! It’s easy to get frustrated with your oven when you put that delicious homemade pumpkin pie in to bake, only to find that your oven forgot how to oven. Luckily, a unit that won’t heat is one of the more common gas or electric oven problems, and one that can easily be prevented. Regardless of what make or model you own, keeping the inside of your oven clean is the key to avoiding unnecessary repairs. Food spills and other debris can build up inside your unit causing a number of parts failures. Another one of the most common oven repairs we see during the fall season is a unit that won’t turn on. This is more frequent when it comes to electric oven problems as opposed to gas models due to the number of electrical parts and components that can fail. 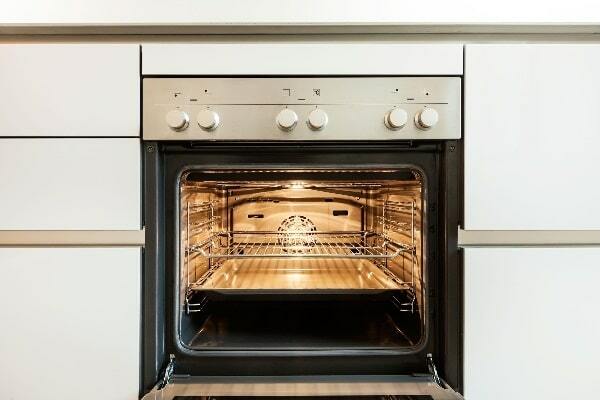 Keeping the interior and the exterior of your electric oven clean and free of any liquids, oils, or other debris will go a long way toward preventing breakdowns or part failures. This is especially true for the bottom of your oven’s interior, as well as the control panel interface that you touch to operate the unit. No one likes to be teased, right? When your oven turns on and heats a little bit but can’t seem to get hot enough to bake, it’s like your appliance is pointing and laughing right at you. This is one of the more common oven repairs we make in Autumn, but it too can usually be avoided through regular cleaning and gentle operation of your machine. Whether you have a gas or electric oven, if it’s not heating enough, it usually means it’s on its way to not heating at all. This will often be caused by a defective bake element in electric ovens, or from a damaged bake ignitor or burner in gas models. Electronic parts such as temperature control thermostats or sensors can also fail due to overheating. At A+ Appliance, we want to save you money and ensure that you have a working oven for the fall season. If you discover that your oven has already broken down though, don’t hesitate, call A+ Appliance now, or schedule service online! 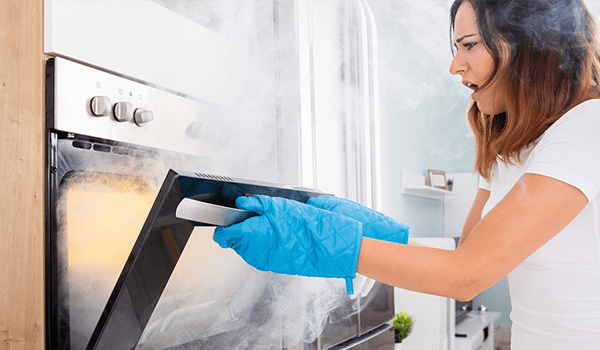 Our expert oven repair technicians will get your unit back up and cooking in no time.